Rustic Antique Brass Ceiling Spot Light Bar - Adjustable Spots. 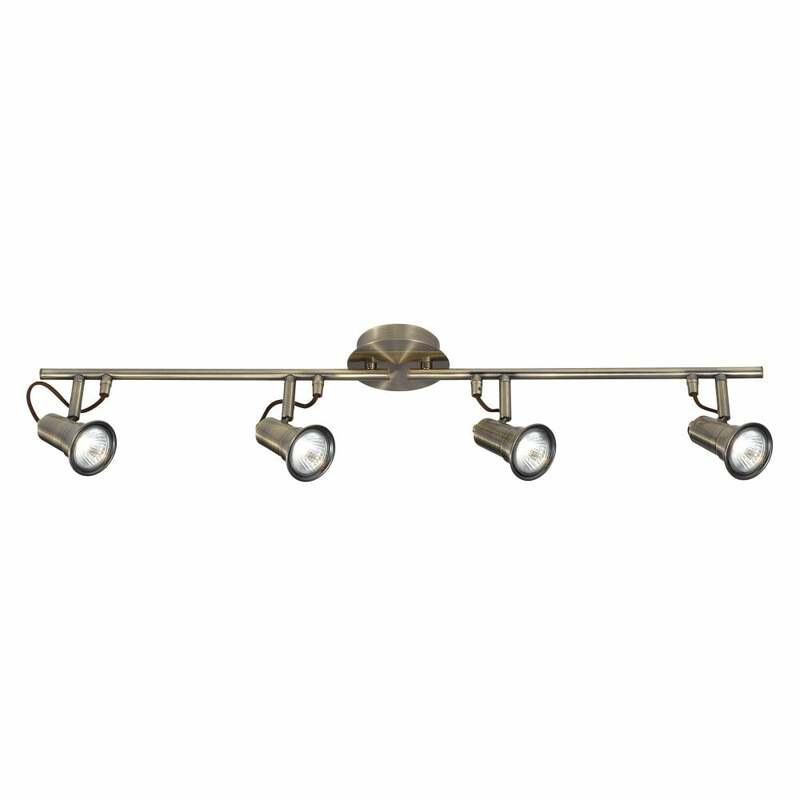 This ceiling spotlight bar comes in an antique finish and has 4 individual spot lights attached which are adjustable to allow for light direction change. This would be suitable for use in any traditional setting and would be great in rooms such as kitchens, this type of light would also be suitable for rooms with low ceilings.